Provincial Permit Centre – over the phone, email and online, get your permits for everything from highway crossing to oversize loads to motor fuel tax, and more. Commercial Vehicle Permits Online – remember that I just mentioned about permits online? Well here’s the direct link for new users to register, to login and tutorials on how to do so. Winter Tires and Trucks – as we get into colder temperatures in BC, it’s always good to have the right information about winter tires. Here’s our website to help with that. Seasonal Load Restrictions – sometimes loads are too heavy for the road, causing serious damage. Load restrictions help to prevent that from happening. This site will assist you in finding out where the restrictions are. Transport of Dangerous Goods – legislation and information around transporting dangerous goods. We work with the Federal Transport of Dangerous Goods (TDG) program. Vehicle Inspection Stations (Weigh Scales) – where are they? What are their hours? How do I contact them? Find it all here. Weigh2GoBC (Weigh-In-Motion and Automatic Vehicle Identification Technologies) – a great program to help you move through BC faster. Bulletins, Compliance Circulars, Forms and Notices – the latest news and updates to keep you informed and prepared. BC Trucking Association – an organization representing more than 1000 trucking and motor coach companies in our province. Insurance Corporation of British Columbia (ICBC) – licensing, claims, insurance, safety awareness and crime prevention. And a heck of a lot more. North American Fatigue Management Program – a leading site on fatigue management to keep you informed and help you stay awake…and safe. Commercial Vehicle Safety and Enforcement (Home Page) – this is the home page for our CVSE branch, which includes a lot of these links but also a whole lot more. 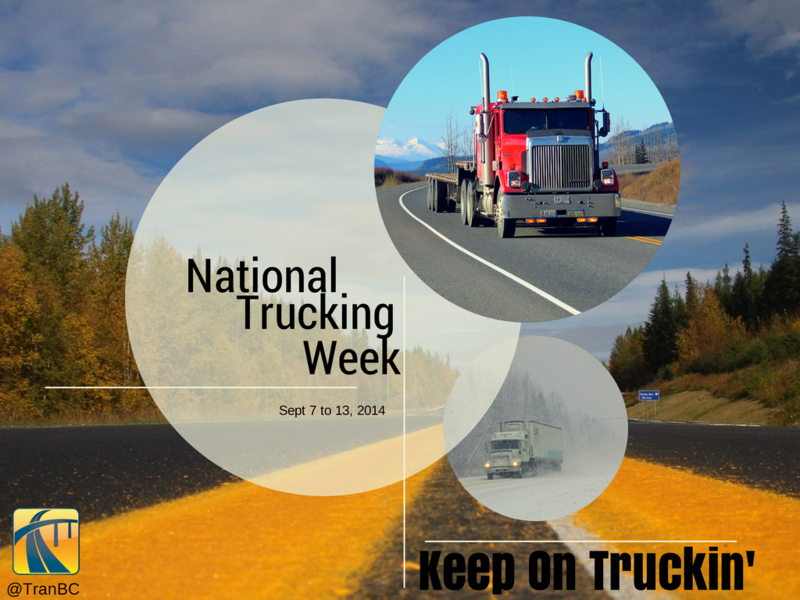 Check it out to get up to speed on trucking in BC.